Hypertension is a growing health burden and contributes to serious cardiovascular complications from target organ damage. The vascular system is particularly important in patients with elevated blood pressure, because vascular dysfunction is both a cause and consequence of hypertension. Hypertension is characterised by a vascular phenotype of endothelial dysfunction, vascular inflammation, arterial remodelling and increased stiffness. Of the many classes of antihypertensive drugs, those that influence vascular health have the greatest efficacy for reducing cardiovascular risk. Angiotensin-converting enzyme inhibitors, angiotensin II receptor blockers and calcium channel blockers ameliorate vascular remodelling and improve endothelial function. Mineralocorticoid receptor antagonists reduce arterial stiffness, improve endothelial function and are established antihypertensive drugs, particularly in patients with resistant hypertension. Patients prone to salt-sensitivity benefit from diuretics, which influence salt physiology and balance and reduce arterial stiffness. Not all antihypertensive drugs are vasoprotective. Beta blockers, like atenolol, reduce blood pressure, but do not regress remodelling and fail to improve endothelial function. 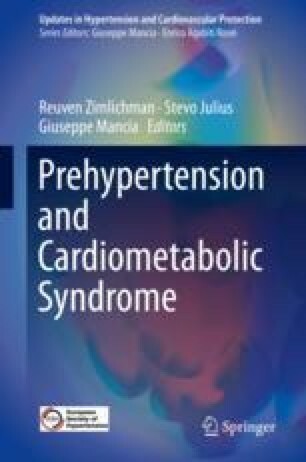 Selecting and refining the optimum drug therapy for the treatment of hypertension remains the key challenge and should prompt thought about the diverse pathophysiological mechanisms involved. This should always be in association with lifestyle modifications, which remains a cornerstone in preventing and improving vascular changes associated with high blood pressure.